Sweet potatoes are a staple on our Thanksgiving table. We usually just bake them in the oven with marshmallows on top. However, lately I’ve been seeing a greater variety of sweet potato dishes. Our supermarket now carries sweet potato tater tots, and chips. Here are some of my favorite Sweet Potato Recipes. Wow, I didn’t know of all these different ways you could eat sweet potatoes. I love sweet potatoes so much! We’ll have to try one of these recipes at Thanksgiving. Sweet potato pie sounds lovely. Would you believe I never tried a sweet potato until maybe a year ago? Thanks for pointing me to some interesting recipes for them! Yum! I love sweet potatoes and all these ideas look great! Thanks for the comment on my Smoothie post. I have not been able to enjoy the taste of sweet potatoes, but some of these recipes look delicious. The sweet potato cupcakes are the cutest thing! i love sweet potatoes! those fries and chips look so delicious. I like plain sweet potatoes with butter but you’ve given me a lot of ideas that would be great for company. 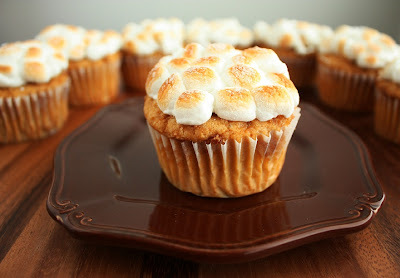 The Sweet Potato Cupcakes are so cute and would make a great presentation at any meal. 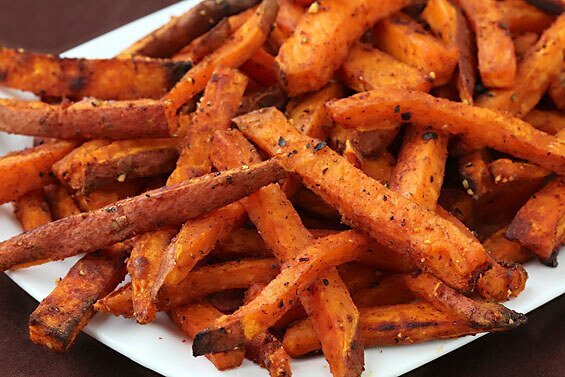 It’s gotta be the sweet potato fries! One of my favourite restaurants makes the best kind of dip to go with them, and I am completely addicted! I will have to try out the sweet potato pie recipe! I love sweet pottoes – in any way, shape or form! My fav is to have them baked in foil, esp on the grill, then keep them in the refrigerator and have them with maple syrup for breakfast. I’ve never tried a sweet potato. The pie looks good. Kind of like pumpkin. I may try the fries. Thanks for the different ways to cook with it.